including Buford, Sugar Hill, Suwanee, Duluth and Lawrenceville. As a specialist in Oral & Maxillofacial Surgery, Dr. George Biederman sees patients with a wide range of complaints, including (but not limited to) facial trauma, surgical correction of bite problems, bone grafting of cleft palates, TMJ surgery, nerve repairs, complicated and small biopsies, treatment of oral tumors, wisdom teeth extractions, dental implants, and preparing the gums for dentures. As a Oral & Maxillofacial Surgeon, Dr. Biederman does not do other phases of general dentistry such as fillings, crowns, dentures, and straightening teeth. We are dedicated to giving you the best possible care. Dr. Biederman will make every effort to ensure you are well informed about the recommended treatment and he encourages you to ask questions. For your protection, all equipment and instruments used in this office are sterilized. Our office is located in the Atlanta, GA area of Buford and Sugar Hill. 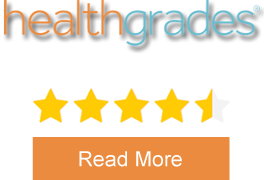 "Dr. Biederman is very experienced and knowledgeable. Dr. Biederman will spend the necessary time to make sure everything is okay." GEORGE R. BIEDERMAN, JR. D.D.S.